Five interpretive panels have been designed to interpret the history of what was once Main Street. Scoured out by floods more than a century ago, Main Street was once lined with banks, hotels and mercantiles. 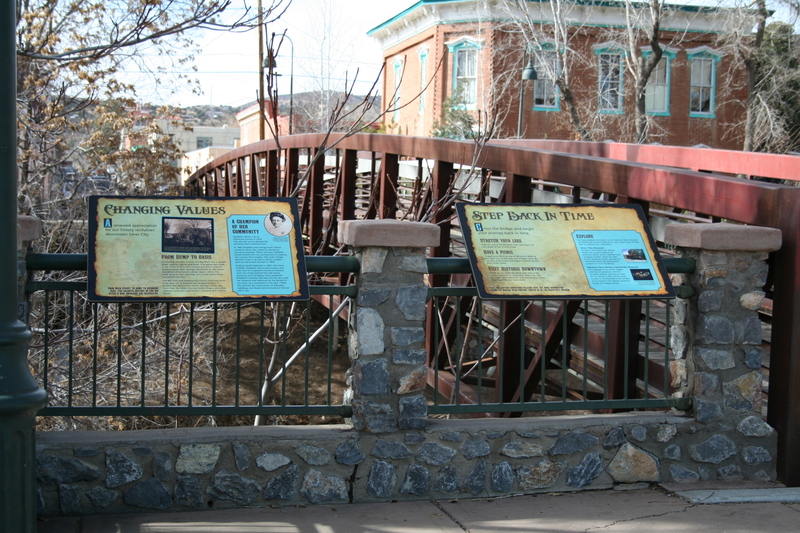 These panels tell the story of how Silver City was settled, and the lessons learned by residents. 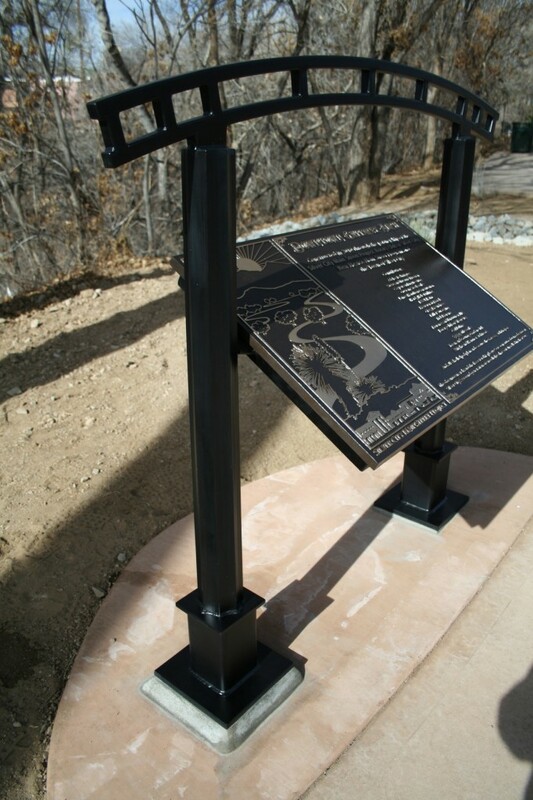 A bronze donor recognition plaque and custom pedestal were designed to complement the Downtown Arch, gateway to historic Silver City.